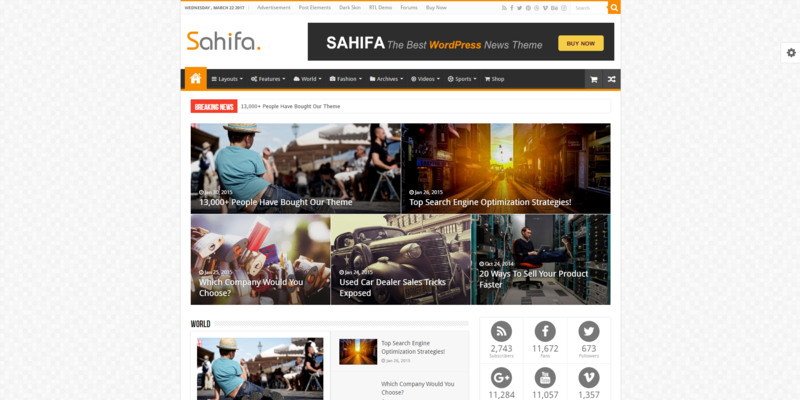 Sahifa is a premium news, blog and magazine theme developed by TieLabs, an Egyptian Envato power elite author. 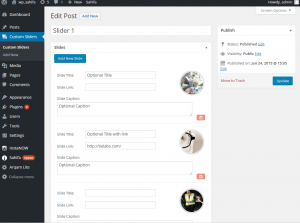 Specialized in WordPress, the developers have enhanced Sahifa with a variety of homepage sliders and post features, specially designed for a news website. Being the sixth theme of TieLabs, Sahifa is their best selling product. The theme’s design is very flexible. 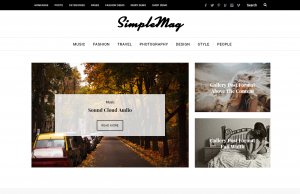 Your entire website can have a stylish look using the masonry layout, and patterned backgrounds. You can use the default page layouts choosing from boxed, framed or wide template, and you can also add a light/dark skin to it. Sahifa WordPress News Theme comes with retina ready, SEO optimization, and six different skins for the Image lightbox effect. 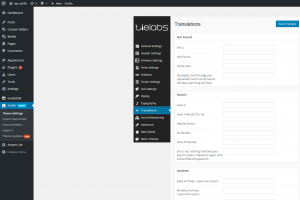 This news template is highly customizable allowing you create lovely home pages with the TieLabs Page Builder. 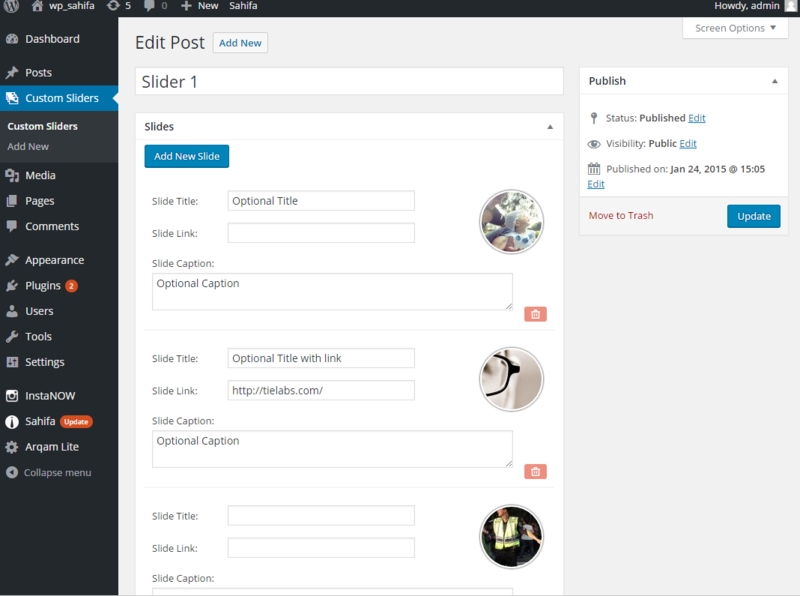 Using predefined blocks, you can quickly build the page structure and promote exclusive content in a custom-made Post slider grid. Sahifa comes with a Theme Settings center and you can control the most important aspects of the theme from a single place. From this panel, you can manage various options like general settings, header & footer templates, archives, typography, translations, posts, sidebars, ads, social networking and rating status. This template brings an ad system that helps to display advertisements in the desired areas of your website. 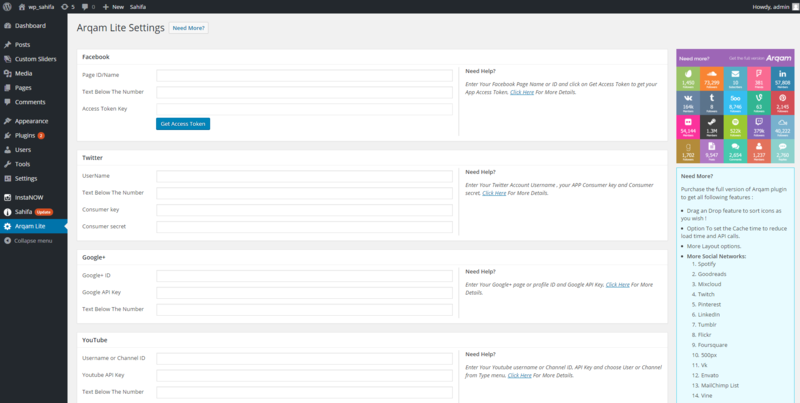 Also, a custom widget will make ads visible on your footer area using ten predefined dimensions. Sahifa News Theme is also social friendly. With a custom built Social Counter, Arqam Lite, you can synchronize the website using API keys, or Token Keys, directly with your social network accounts. It is available for Facebook, Twitter, Google+, Youtube, Vimeo, Dribble, Soundcloud, Behance, Github, and Instagram. In addition, the theme is also compatible with the WooCommerce plugin. 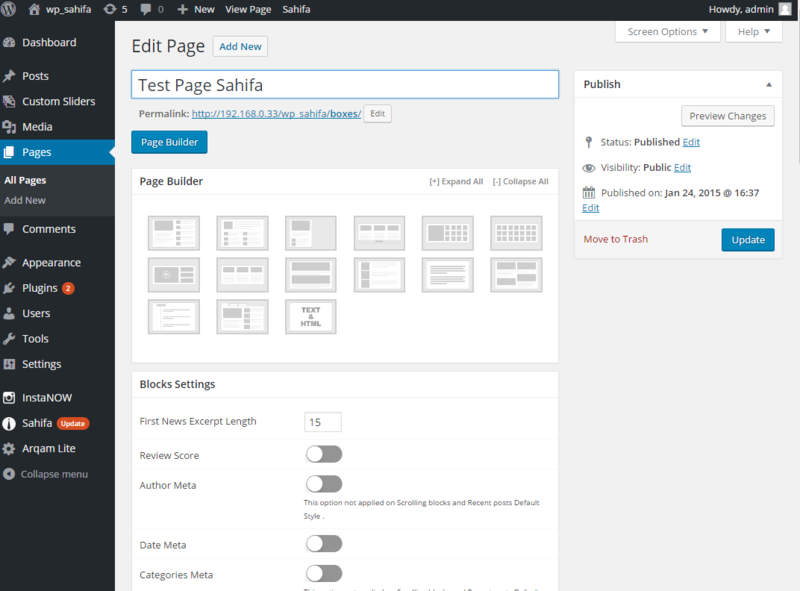 We have tested the Sahifa theme’s default demo on different page speed tests, and it loads the content at medium speed. 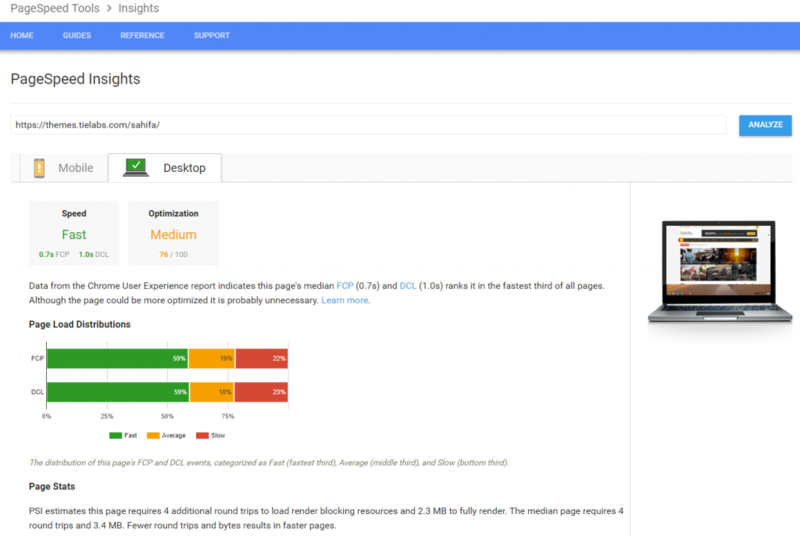 The theme documentation provides a page speed guide to help the users optimize their websites and achieve optimal performance. 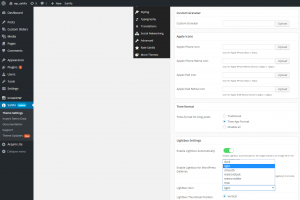 Sahifa theme can be a bit confusing for a WordPress beginner due to the relatively high number of options and settings available. 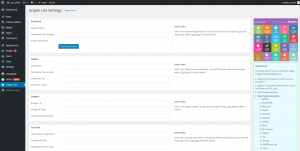 Its documentation is not as consistent as expected, has no ‘Search’ button, it has no child theme support for now, and the theme’s design needs a facelift as the last major update was released in February 2015. 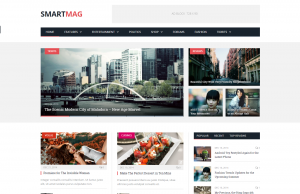 Sahifa is a highly customizable and versatile theme designed for news and magazine websites. A mature and stable theme, Sahifa is one of the most popular news theme, maintained and supported for years. The multitude of features makes Sahifa a worthy template to consider when looking for a beautiful and high performance WordPress Theme for news and magazine websites. Hello! Thanks for the review. I’m a beginner and I think this theme is a little too complicated for me. Could you recommend another one without me having to search through all the inventory? Hi! We are very happy that you appreciate our work. Considering you didn’t provide me with all the details about the type of website you want to create, I can’t tell you which one is the most suitable for your needs. I would recommend that once you have decided the purpose of your future website, you check out that certain category of themes, and read about them all. You also have the possibility to compare the themes among them. Good luck in choosing the best for you!